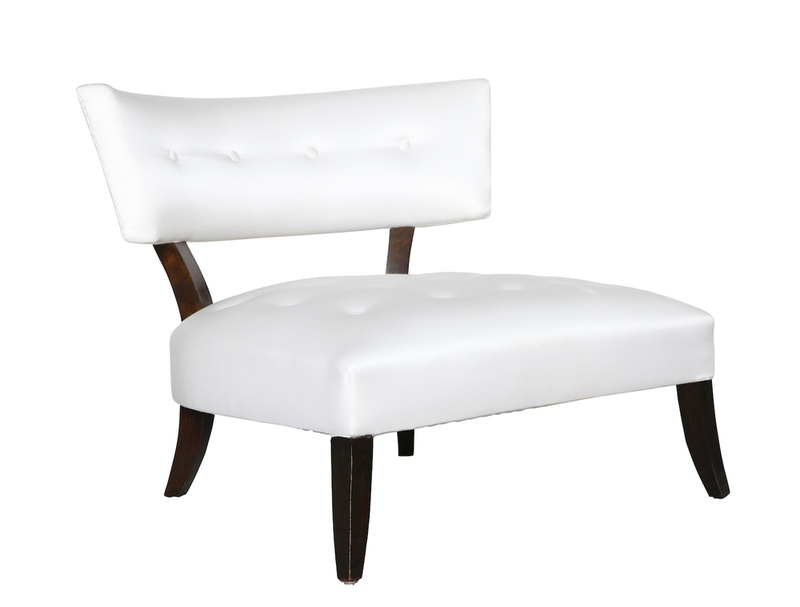 Low and elegant slipper chair. 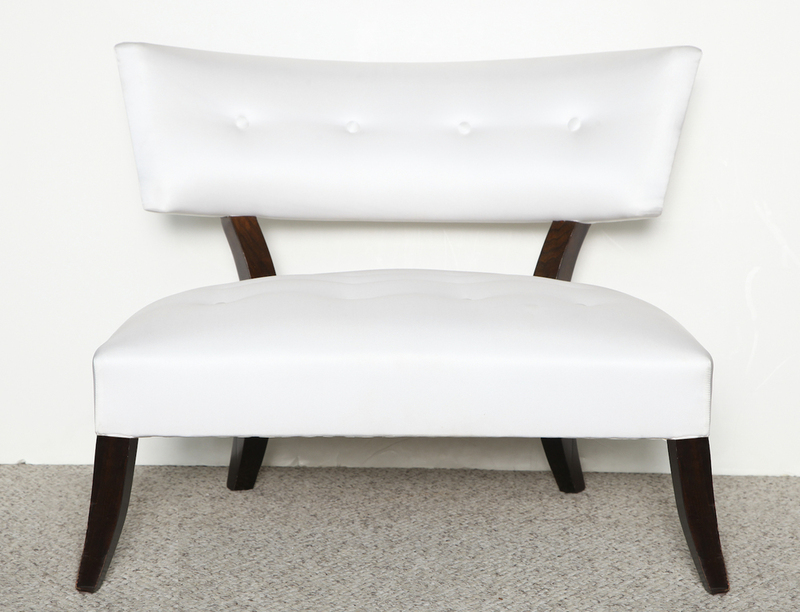 Design is based on a chair from a very glamorous Hollywood interior. C.O.M. 3.5 yards, print 4 yards. 4-6 Weeks lead time. h. 27" w. 32" d. 33" Seat: h. 14"